A native of Oakland, CA, Christopher Maracha found drawing to be his favorite childhood hobby. 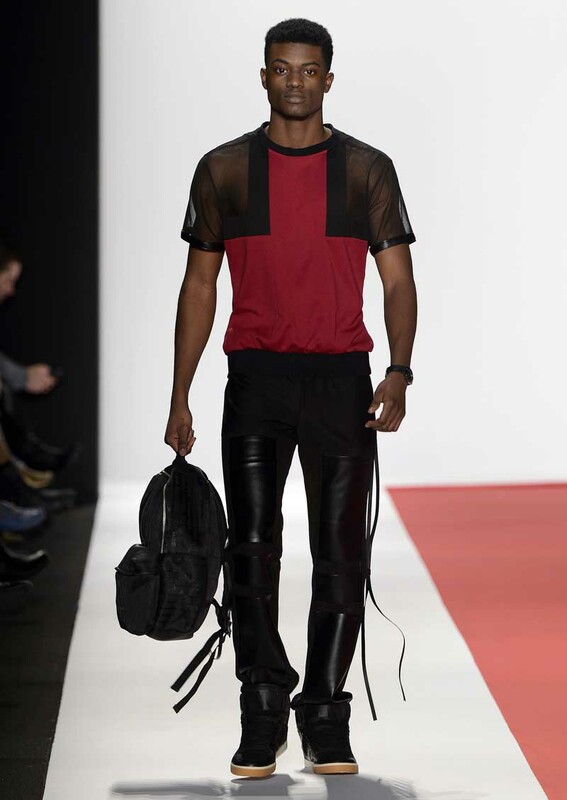 As a designer, he gravitates towards details such as colorblocking, mixing contrasting fabrics and colors. Initially he imagined himself illustrating comic books, but soon realized he enjoyed designing the characters’ costumes more than the scenes. He’s secured editorial coverage in Kaltblut, a European fashion magazine, and his illustrations appeared in Lady Gaga‘s 2009 Book of Gaga. “I strive to take the average man’s idea of fashion and push his boundaries. From eclectic color choices and unusual fabrications to layers of sheer mesh, I want men to realize that they don’t have to wake up in the morning and throw on that old t-shirt and jeans,” he says.